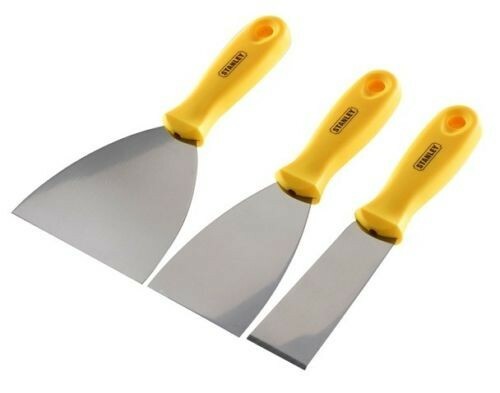 The Stanley 3 piece Hobby Tool Set contains the following: 1 x 100mm (4 inch) stripping knife. 1 x 63mm (2.1/2 inch) filling knife. 1 x chisel knife.